This area is 199.122 hectares. (1’991,220 square meters), (420 meters front and back, and right and left sides 4741 meters). Investment value (approx. 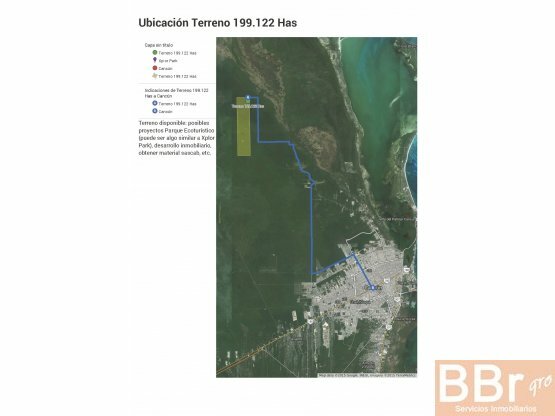 USD $ 18'625,000.00) the value will be handled in Mexican pesos $298'000,000.00, although is a very good price for the area, it can be negotiated. 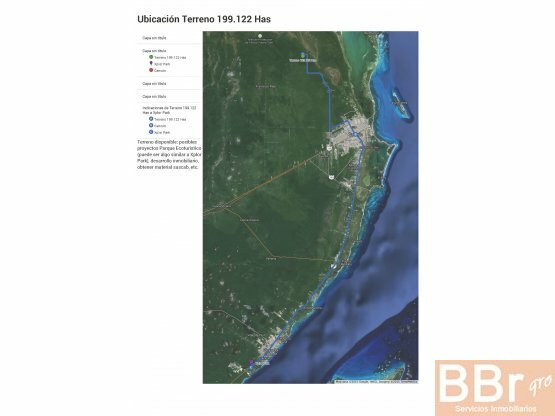 The property is located near to the cenotes; Azul, San Pablo and Cenobio, there are ramifications of these cenotes on the property, digging could be necessary in order to leave them exposed. Legal status of the property: Private property, duly notarized and registered in the Public Registry Government office. All the legal documents available. and / or develop and build hotels and / or resorts & spas, all with an ecological theme and nature care ... + There are approximately from 70.000 to 120.000 trees of different types, fine and exotic wood and others of medium quality. (Approx. $ 1,000.00 pesos per tree, do the math), which can be added to the gross profit if sold them too. and / or you can dig the land to obtain the sascab material used for some issues in the construction industry and ceramics. Any questions or comments, please let us know as soon as possible so we can respond in a timely manner and in the shortest possible time. 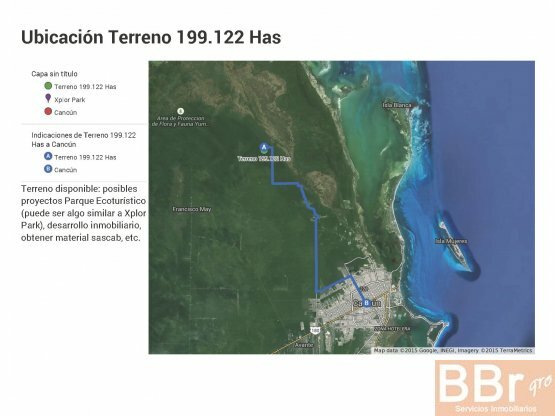 Intermediarios o asesores de bienes raices: No hay comisión, pero hay autorizada una gratificación fija.